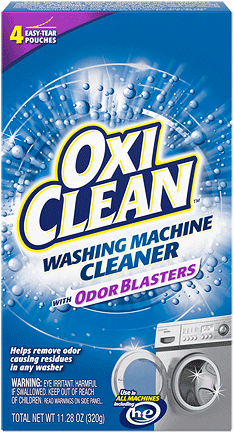 OxiClean™ Washing Machine Cleaner helps remove odor causing residues in any washer. 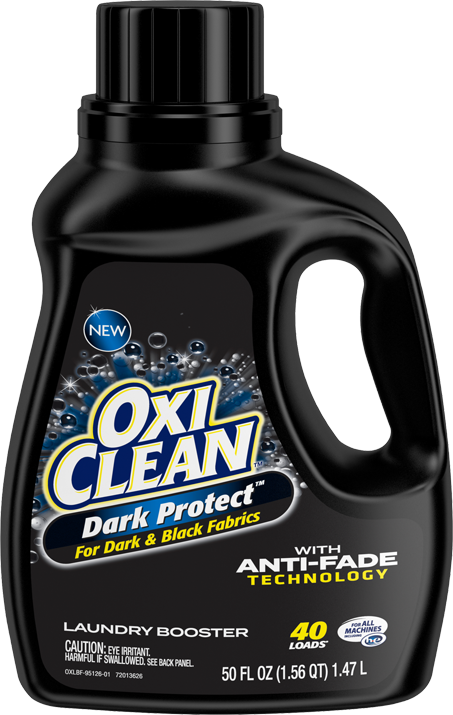 Use one pouch once a month to help keep your washing machine clean! Helps remove odor-causing residues in any washer! 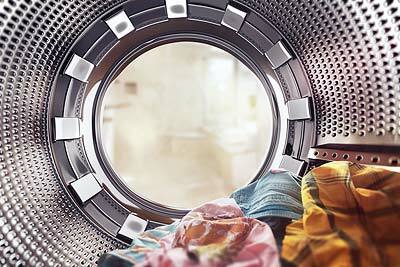 Have you noticed a musty smell on your clothes when you take them out of the washer? Your washing machine might be the cause of the problem—but there is a solution! 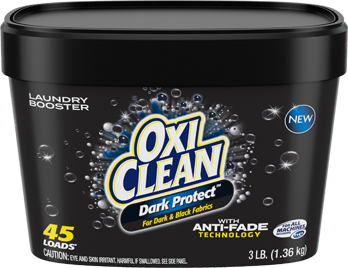 OxiClean™ Washing Machine Cleaner helps remove odor causing residues in your washer leaving it looking clean and smelling fresh as new. Use 1 pouch per week for 3 consecutive weeks following the instructions below. Then continue to use 1 pouch each month for maintenance. For all machines, remove clothing or other items from the washer. 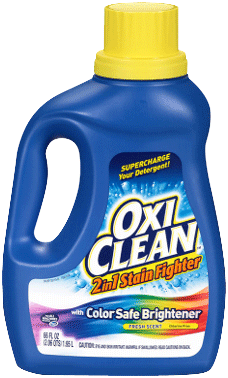 Tear one pouch of OxiClean™ Washing Machine Cleaner and pour it into the washer drum. Do not add any detergent to this cycle. Select the Clean Washer cycle. 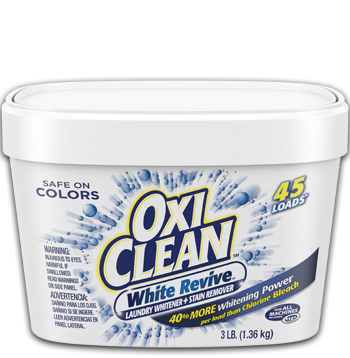 Note: if washer does not have Clean Washer Cycle, add OxiClean™ Washing Machine Cleaner to the drum and run a normal cycle using hot water. After cycle is complete, wipe any residue that may be left behind with a towel, including on drum, door, rubber gaskets and seals. Leave the door open to allow better ventilation. 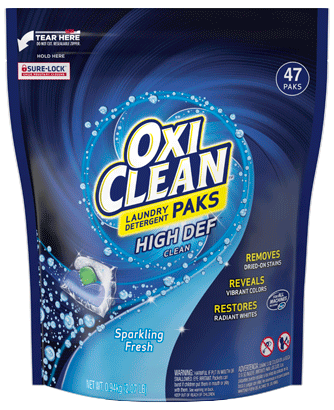 Use 1 pouch once a month to help keep your washing machine clean. 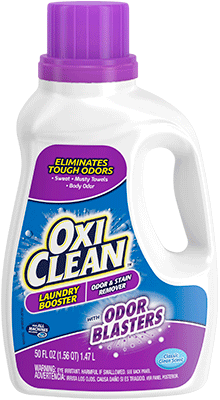 OxiClean™ Washing Machine Cleaner helps remove odor causing residues in any washer. 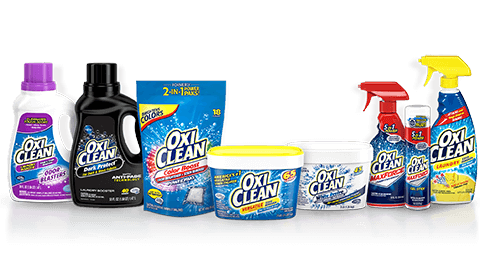 What do I do if an odor problem or visible residue already exists? Use 1 pouch per week for 3 consecutive weeks following the instructions below. Then, continue to use 1 pouch per month for maintenance. 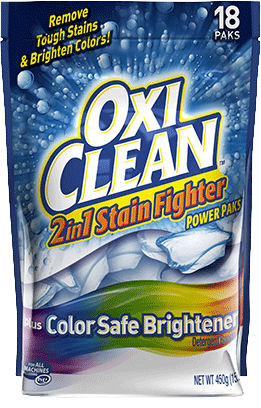 Open one pouch of OxiClean™ Washing Machine Cleaner, and pour into the washer drum. Note: Do not add any detergent to this cycle. 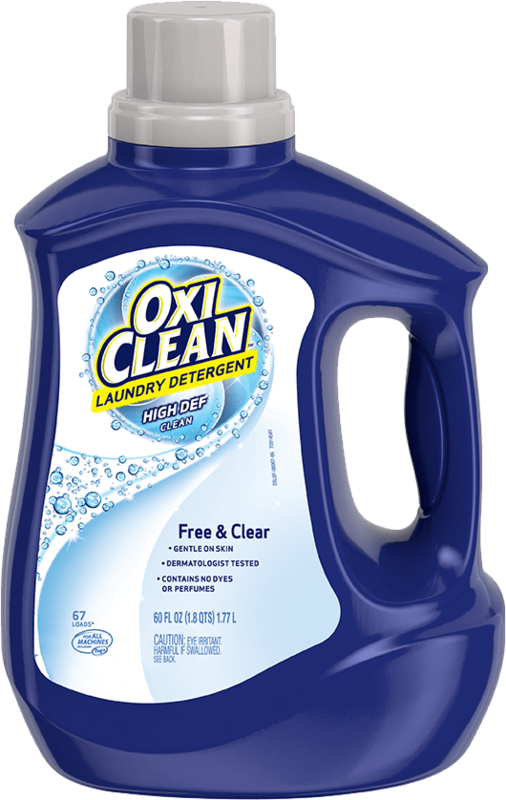 Note: If washer does not have Clean Washer Cycle, add OxiClean™ Washing Machine Cleaner to drum and run a normal cycle using hot water. After cycle is complete, wipe any residue that may be left behind with a towel including on drum, door, rubber gaskets, and seals. Leave the door open to allow better ventilation. 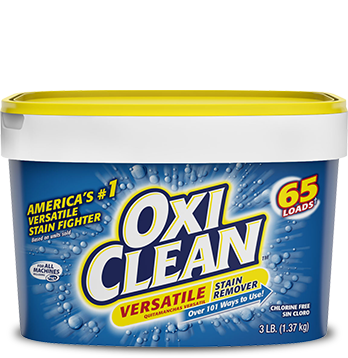 How much OxiClean™ Washing Machine Cleaner do I use for maintenance? For maintenance, use 1 pouch once a month to help keep your washing machine clean. What else can be done to keep the washing machine fresh? Follow the washing machine usage and cleaning instructions. Always remove items from washer as soon as the cycle ends. After washer cycle is complete, leave door open to allow better ventilation. 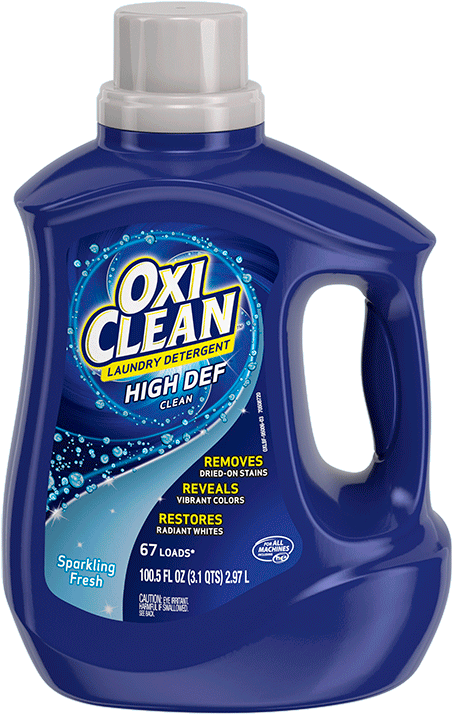 Use only HE compatible detergents in HE washers and follow dosage directions; do not overdose. Leave the dispenser drawer open at the end of washer use.